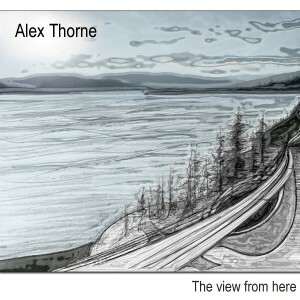 On The View From Here,Moncton resident Alex Thorne relies upon a familiar framework: A passionate, emotive singer-songwriter accompanied by an acoustic guitar and occasionally backed by a full band. Yet rather than relying upon tired clichés, Thorne manages to tap into this framework like a veteran, crafting songs that manage to have a unique voice yet also have an air of familiarity to them. Album highlights include the impassioned “On Tour,” “Cold Nights” and the uplifting guitar picking on “Sleepyhead.” Alex Thorne quite capably proves he could be a major force to be reckoned with in the future.